There are studies about using your smartphones that is linked to melatonin production and can keep you from having a good night’s sleep. Stay away from your gadgets before bed and rely on these alarm clocks to wake you up. You deserve a good night sleep! 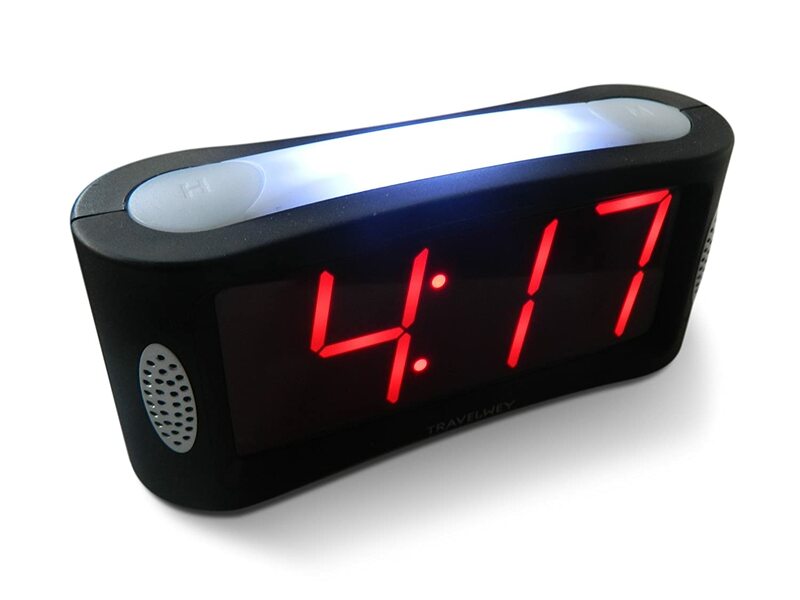 This alarm clock is an analog clock with a sturdy and stylish build and features a night-light. 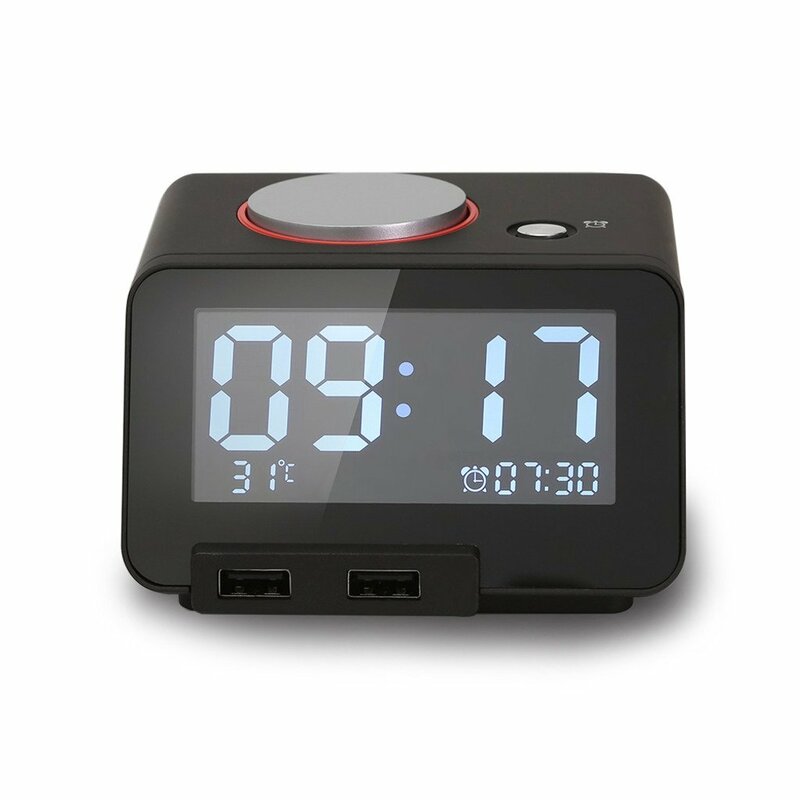 It is easy to set the alarm with its on/off and snooze buttons. The on/off button is located at the top of the alarm clock. When it sticks up, you can tell that the alarm is on and when it is down you can tell it is off that allows you to know if the alarm is on or off even in the dark. Plus, it measures 3.5 inches wide by 3.75 inches tall and 1.5 inches thick with batteries included! 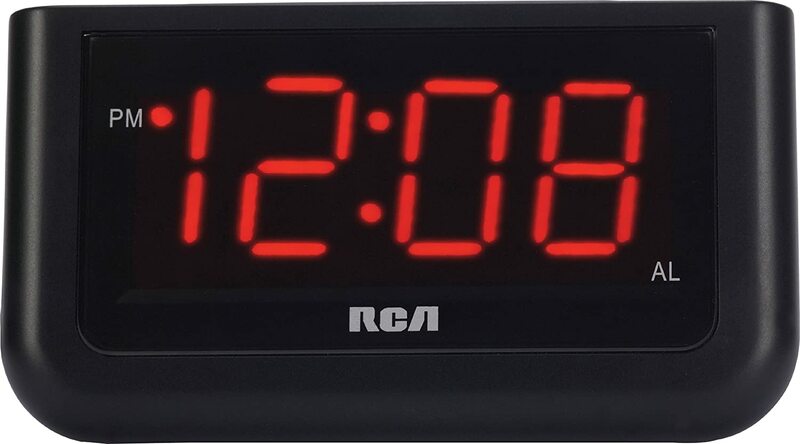 This alarm clock features dual alarms, radio tuning with 20 presets, and options to set the alarm for weekdays, weekends, or one specific day. It has a 180-degree projector that allows you to put the time on a nearby wall or ceiling. 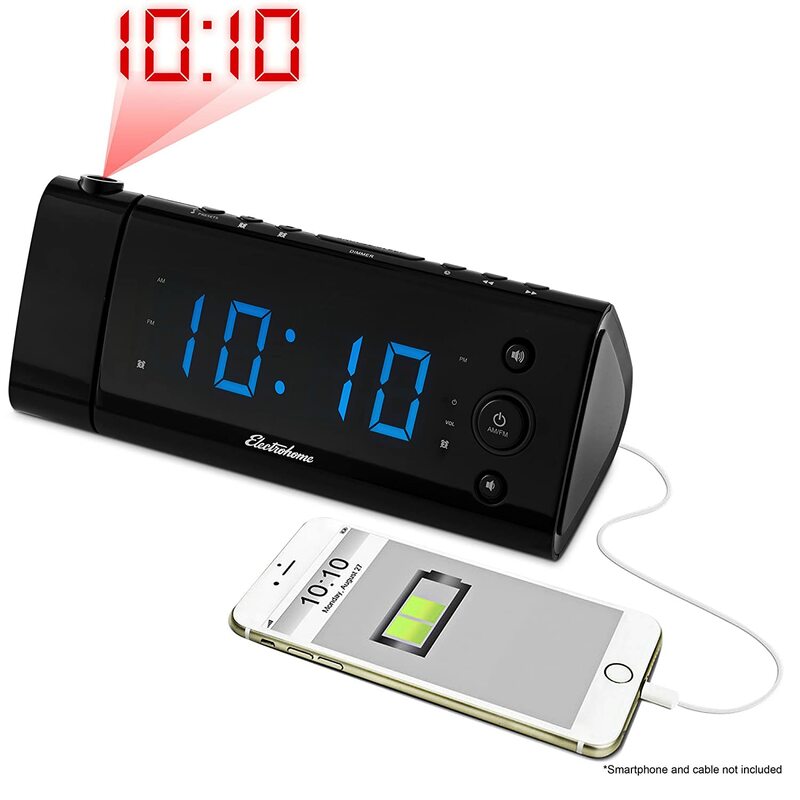 It has a long-lasting battery backup that immediately restores alarm and clock settings in case of power failure. It has a 1.2 LED display, and AM/FM radio. Plus, a USB charging port that is compatible with all smartphones, tablets, mobile phones, and mp3 players! This alarm clock is a digital model that lets you check the time by pressing the snooze button when in battery-backup mode. It features two USB charging ports which makes it unique from others. It has 3.2 inches LCD large font display and has 4 brightness levels easily adjusted by tapping the big button. It also has built-in surge protection to protect against overcharging, surges and overheating. Plus, it displays the room temperature on the front panel! 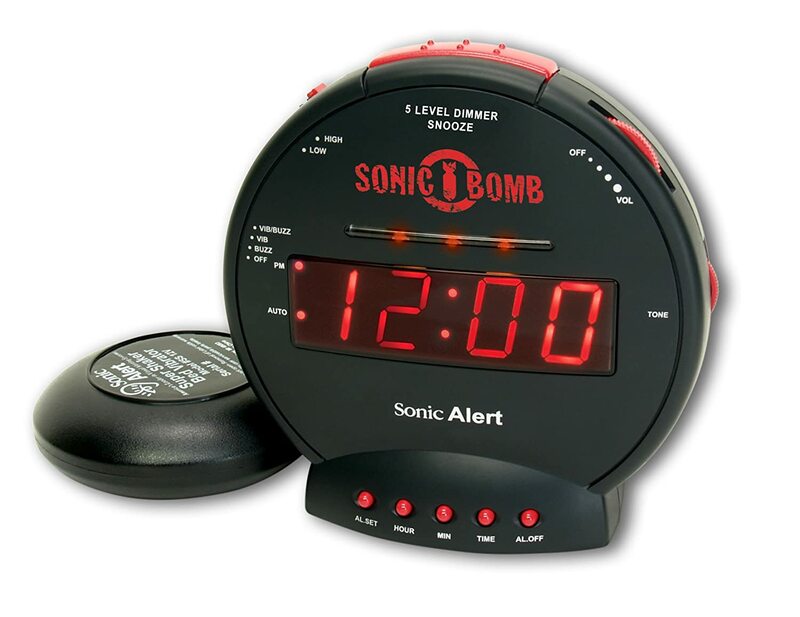 This alarm clock is the loudest alarm clock you could ever have from 40 feet away if you don’t mind. It features red flashing lights and a powerful bed shaker that can vibrate your pillow or mattress. Fortunately, you can lower the alarm volume or turn the sound off completely. 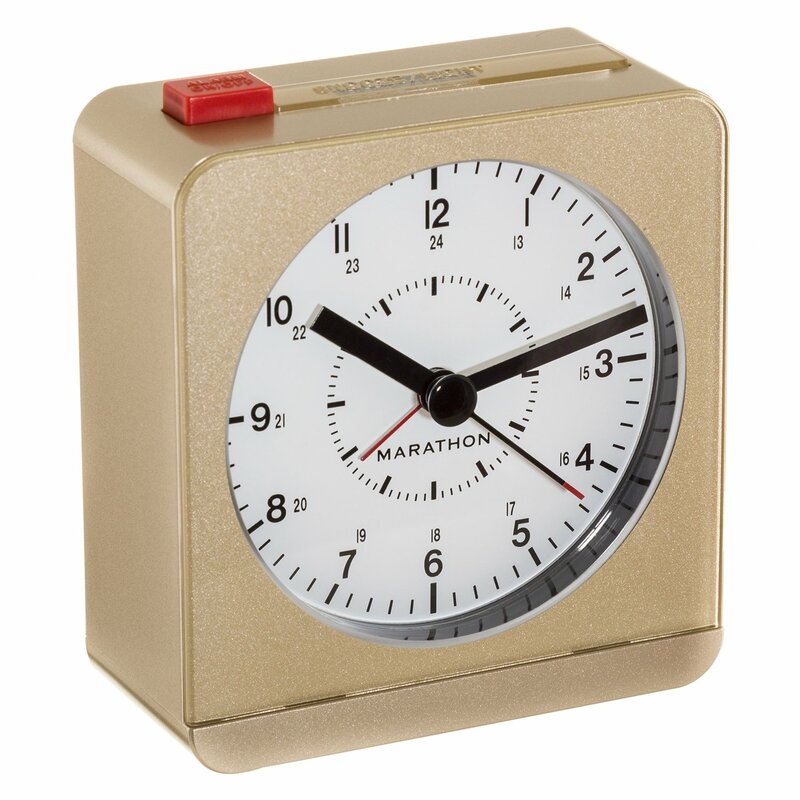 The battery backup may also keep track of the time until the power is restored. Plus, it comes in a variety of colors and has a one-year warranty! It includes Bluetooth wireless streaming, multicolored lights, a USB port for charging, and alternate alarm choices. It features aux-in jack for connecting external sources and Melody app so you can call up music from iHeartRadio and Spotify Premium by pushing a button on the clock. It has a fantastic built-in color-changing LED light that displays six different colors. It has dual alarms and four musical alarm tones. Plus, you can give voice commands through its built-in microphone! This alarm clock has two levels of alarm volume, a slider control for dimming, and a snooze button that doubles as a night-light. It has a loud beeping sound that can be heard 20 feet away. If you want softer beeps, you can use the second volume option. Its snooze button also delivers an extra 9 minutes of sleep time every time you press it for over an hour. Perfect for heavy sleepers! This alarm clock has an easy-to-use button layout, a bright display, and an alarm that should wake up even heavy sleepers. 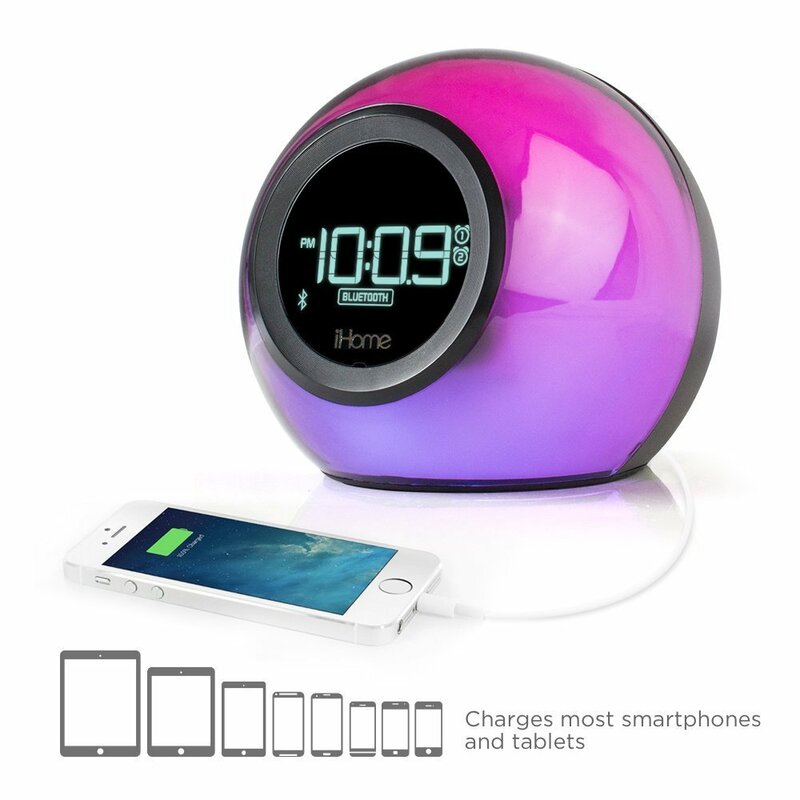 It has the largest display size in the smallest design so there will be more room for other stuff on your nightstand. It measures 3.75 by 1.4 inches, which was visible in daylight and at night from at least 20 feet away. People who wear glasses will no longer need to get their glasses just to check the time that put it at the top of our list for the best alarm clocks you can buy. Plus, its beeping sound can be heard over 20 feet away that continues until you shut off the alarm or hit snooze!